for a fun filled weekend of music, arts, culture & community. Splore Festival features a stunning beachside location, an eclectic line up of world class local and international music, a dynamic visual arts programme, a diverse range of performances, dedicated kids’ zones, a range of workshops, spoken word, poetry, sustainability and theme camps just 70 km south east of Auckland CBD. The Splore kaupapa (philosophy and ethos) is about celebrating arts and culture with a community of like- minded people who love and respect our environment. Tapapakanga Park is a precious and beautiful coastal park that offers safe swimming on a pohutukawa fringed coastline. With a freshwater lagoon and stunning vistas over to the Coromandel peninsula . We are privileged to be able to come together on this sacred land that has significant historical stories with the tangata whenua Ngati Whanaunga, Ngati Paoa, the Ashby family and Auckland Council. Splore is committed to ongoing sustainability. Our aim is to continually reduce our footprint and facilitate proactive features that make Splore Festival the leader in this area. Let’s all work together as a community and make this a reality. Read about Splore’s sustainability story here. Splore Festival is family friendly - kids and youth ticket discounts. We want to make it affordable for families to attend so tickets for kids 12 years and under are free (just buy a $6 wristband). The price of youth tickets has been reduced to $125 + BF for teenagers aged 13-17. This reduced youth ticket price applies to youths attending with parents or guardians only. Youths over 16 who wish to come unaccompanied by a guardian must purchase a full priced adult ticket. Unaccompanied youth under 16 years old will not be permitted into the event. Government issued ID must be shown at the gate. Terms and Conditions apply. Splore is a camping festival with a range of camping options to suit most people. All festival tickets include free camping. For more information please check out www.splore.net. Pass-outs are available at all times. We understand that not everyone can spend the whole weekend onsite, so we allow pass-outs throughout the festival weekend. Some conditions apply around vehicles and parking after dark. 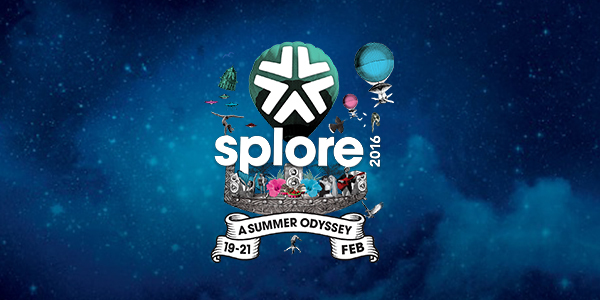 Full details at Splore FAQS. Vehicles coming to Splore must have a Parking Pass. The Parking Pass is designed to minimise our impact on the environment by reducing the number of vehicles coming to Splore, reducing our greenhouse gas emissions and making Splore less congested. You must have one if you want to bring your vehicle into the festival and access to on-site parking. The Parking Pass rewards carpooling and provides funds for affordable alternative transport. We first introduced the Parking Pass at Splore 2014, since achieving a 30% reduction in the number vehicles on site. The Splore Express bus is simple, sustainable and safe. Catching the Splore Express Bus is by far the best way to get to Splore. You’ll be making a positive impact on the environment by reducing greenhouse gas emissions and reaping the benefits of not bringing another car to Tapapakanga. We want as many people as possible to travel by bus which is why we have subsidised the price so that you can get a ride for as little cost as possible. Every festival ticket includes access to free unreserved camping. Children 12 and under are free, however you will still need to book them a ticket. Whilst the ticket itself is free, a registration/wristband fee of $6 per ticket (+ booking fee) applies. Paying by layby is available for Splore Festival tickets. (No Earlybird ticket lay-by). Simply book your ticket and click the pay by layby option at the checkout stage. You’ll need to make a 20% deposit up front, then just pay off the full amount before the due date of 31 January 2016. Lay-by on credit card bookings only and transaction fees apply so read the full terms and conditions before committing. Please note, payment by layby is no longer available for this event.